Up to 50 VPN tunnels are supported, each can be set to IPsec/PPTP/L2TP/L2TP over IPsec protocols, with hardware encryption of AES/DES/3DES. This level of VPN capability covers the requirements of most businesses for secure inter-office and remote data accessing. For the site-to-site application, Vigor2925 Series offers VPN load-balancing & backup to deliver the high performance and reliable remote access. For client-to-site, remote dial-in users can use up-to 25 SSL VPN tunnels to avoid the local network infrastructure limitation, there are 64 profiles on WUI, but it only allows 25 concurrent tunnels. On the Wireless-equipped models (Vigor2925n) each of the wireless SSIDs can also be grouped within one of the VLANs. Vigor2925 series routers support Smart Monitor, DrayTek’s proprietary network traffic reporting software, for up to 50 users. 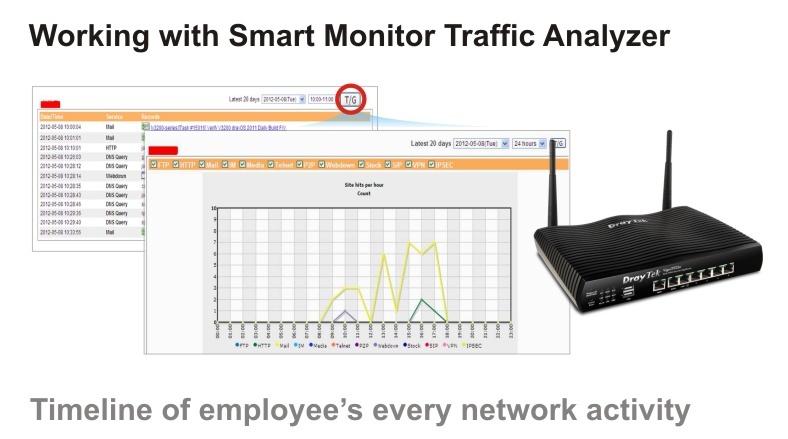 This software monitors all incoming and outgoing network traffic, categorizes these into various activity and data types and provides statistics in various report types, so network administrators can monitor network activities for planning and/or fault locating purposes. Like all DrayTek routers, Vigor2925 Series routers support comprehensive network management functions. For example, you can set username/password and directory/file access privilege for individual users as required. There are also routing/network tables, system log, debugging utilities, etc., making network administrators’ jobs easy. Other management features include SNMP, TR-069 and TR-104. 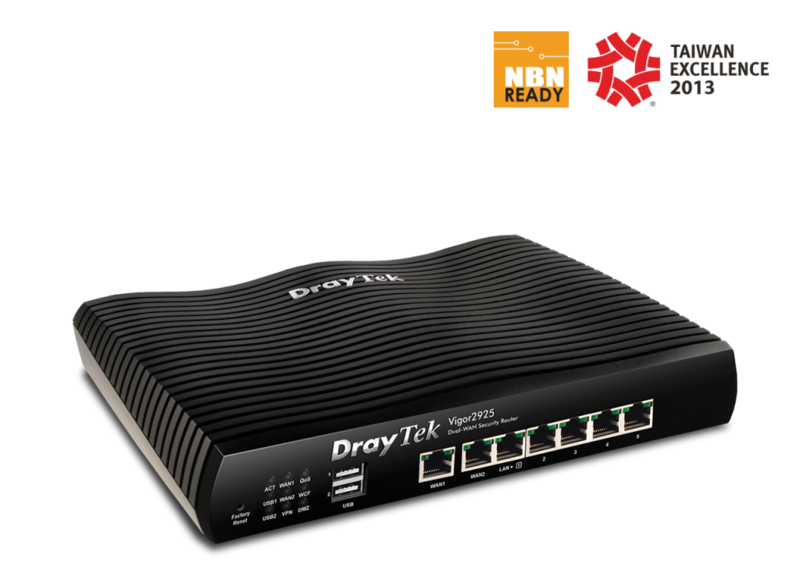 TR-069 can be utilized with DrayTek’s VigorACS SI management software to remotely monitor and manage the Vigor2925 Series.